Welcome to the I C Publishing Summer Blog Tour on navigating our writing paths from start to finish. Earlier this year I participated in a blog tour on the topic, My Writing Process. It was such a great way to connect and share some really meaningful content; I decided I C Publishing would sponsor a blog tour of its own. I talk to so many writers/authors, and small business owners, who always appear to be working on the proverbial “something” . . . feeling compelled to finish that next project (book, workshop, keynote, etc.). So, what better subject to blog about than how to start, continue, and complete those tasks we really want to—big or small? To kick things off, I’m pleased to introduce to you my new blog administrator, Carly Ottaway (@charlottaway), who will be posting with me today from her blog at CharlottesWebofWords.ca. She is a creative non-fiction writer and small business blogger published in Canadian publications such as Zoomer and The Globe and Mail. We’re thrilled to have Carly a part of our growing and dynamic I C Publishing team! At the end of each of our posts, we will provide you a link to the next blogs that are scheduled, and introduce you to those contributors. They’ll do the same in their blog. Note, as always, much of what we share on topics such as this can be easily applied to other tasks too. Ideas and inspiration are often percolating for me. For larger projects, what sustains me most is when I consciously make time to write (min. an hour a day). Also, when I get an idea or am moved by something I’ve read, I document it so I can go back to it easily. I actually make a lot of informal notes. Sometimes I will record it in my ideas journal. I use my day timer regularly too—I will even email myself a reminder so it stays top of mind until I can build on the concept more. This is a pretty common process for me, whether writing social media content, my next blog, working on my next book, or my clients’ projects. Once I have the concept, I always create an outline for my work (i.e. Table of Contents for a book, etc.). I then prioritize if/what research is necessary, and determine what parts of the project I can start on, including if there is work to be completed before I begin writing. Part of my process also includes assessing and setting timelines, especially the ones that are within my control, allowing as much flexibility as I can where I have to rely on others. Although I work at being very present-minded, I’m also pretty goal and task-oriented; so I work from a day timer, which I review constantly. I highlight priorities, and check things off as I complete them. This helps me stay on track, and recognize my progress on an ongoing basis, which of course feels great and keeps me motivated. On my less creative days, if referring back to my notes, and creating the time and space in my schedule doesn’t do the trick, I will sometimes give myself a pass. When I do, I always reschedule that time in order to stay on track. That said, quite often, if I just get down to writing I quickly get into my creative zone to accomplish some or all of what I need to. For most of us, I think, it’s just about quieting the mind chatter and work space and focusing in on what we have to—better yet, say we want to do. Since I prefer to spend time at the beginning of each project to create and work from more comprehensive outlines and timelines, I don’t tend to get too distracted at the end of project. Occasionally, I will wonder if I’ve given or written enough; however, unless I’m really sure something else is needed, and what that is, I trust it’s my perfectionist side surfacing again . . . and I “let it go”. 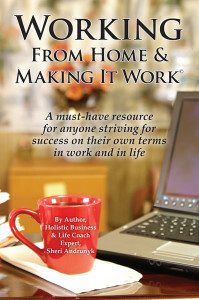 I went through a bit of this when I wrote my second book, Working From Home & Making It Work©.It represents an in depth workshop series I created and facilitated for many years, along with personal awareness and growth exercises, and many personal stories intertwined—moreover, a culmination of almost three decades of living it. Admittedly, I wanted it to be more than perfect to celebrate my life’s work thus far, and to empower and enrich others on their journey. If we don’t “let it go”, and have the courage to be less than perfect, others miss out on our way of sharing, our experiences, learning, and expertise. I had an author say to me once that if her book helped just one other person it would be worth the writing of it. Have you ever read or heard something several times, but didn’t really “get it” until you heard it a certain way or from a certain someone? That certain someone is YOU! Lastly, with respect to working on many projects simultaneously, this is a given for me, due to my line of work as a publisher and editor. I tend to do the same with my own work as well. It is definitely out of necessity when it comes to the amount of communication writing we need to do these days via social media, blogging, and even email; although I enjoy changing it up creatively on larger projects too. Tip: Believe in yourself. Do your homework. Plan, and then do the work. Surround yourself with like-minded, like-hearted experts that believe in your work as much as you do. So much is possible. Enjoy the journey. Life is good. And now, I am so inspired and excited to introduce you to the following contributors who will be sharing their experiences, challenges, and tips, on navigating the writing path from start to finish. Check out their links, and watch for their blog posts on Wed, June 25th. Notice on Carly’s post and mine here, the amazing diversity of each, from artist, and parent coach, to experts in health and wellness and personal change . . . and yes, authors too! Kelly Pryde, Ph.D., is a parent coach, family mediator, and the author of Reinventing Mom. Kelly’s new blog, The Patience Project, chronicles the research and writing of her second book as she helps families (including her own!) grow patience, understanding, and stronger relationships. Jenn Pike is a passionate health and wellness educator and mentor. She is the founder of Simplicity Yoga & Fitness Therapy Studio, creator/host of two great shows, and the author of The Simplicity Project ~ A Simple, No-Nonsense Approach To Losing Weight & Keeping It Off Forever! She firmly believes we are all destined to live our best lives ever and has made it her life’s work to inspire you to get there. Adele Spraggon is the founder of Shaped Within Ltd., author, facilitator, speaker and affectionately known as the ordinary guru. She teaches stressed-out, busy women how to get unstuck, eliminate overwhelm and anxiety, end compulsive behaviours, and gain inner peace. Shelley Lundquist is an International Master Coach, Speaker & Trainer who helps people get out of their own way to create a brighter future. She is passionate about helping others discover the power of their own inner light and to go confidently in the direction of their dreams. Linda Ferguson, Ph.D., is curious about how people make the choices and connections that build a life well-lived. 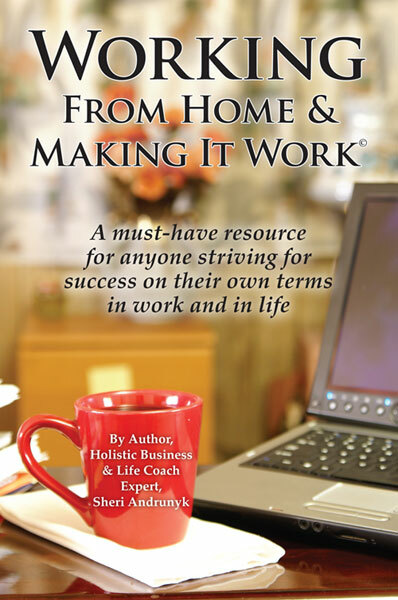 Her publications include Shiftwork and Living Your Purpose. 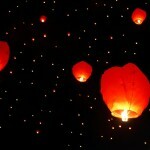 Linda is the Senior Partner at NLP Canada Training and offers perspectives on chance and choice in her blog, ntgr8. Anita Heidema is a motivated and successful entrepreneur, hard-working single mom, loving caregiver, health awareness advocate – and founder of the YIJ Group Inc., Success Coach, Certified Hypnotherapist, Inspirational Travel Specialist and new author of Vitality Knocks – Short Stories to Enrich Your Soul (August 2014). Thanks so much for following I C Publishing Summer Blog Tour. As always, please feel free to share with friends and colleagues, and join in the conversation using the comments section below or by emailing me directly. For your convenience, here’s our Twitter (@icpublishing) and Facebook (Insightful Communications Publishing) page links too; and the hashtag for the summer blog tour is #ICBlogTour, so you’ll be able to find us quickly! Here’s my post continuing the I C Blog Tour: http://charlotteswebofwords.ca/navigating-writing-path-c-summer-blog-tour/ It’s been great following along with everyone’s posts! Thanks to Doug Owen for inviting me to participate. My post for the #ICBlogTour went live 7/2/2014. 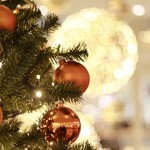 You can read it here: http://wp.me/p37cEC-UU. 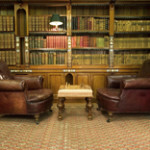 Take a look around while you visit. I’m so excited to be part of this blog tour on July 16th! Thanks so much for the great feedback on the blog, and better still, the writing contributions! Thoughtful, inspiring, and even a dash of wit and humour! Love it. And we still have more reading to catch up on. It’s super to see so many of you posting and commenting here too. This way, those who want to follow all the legs of the tour can do so more easily with more of us linked in one place. If you know of anyone who would still like to contribute to the I C Publishing Summer Blog Tour, please feel free to send them the info. You can pass the pen via social media, and they can link to you and us in their blog, and post the direct link to their “Navigating the Writing Path: From Start to Finish” post here when it’s live. 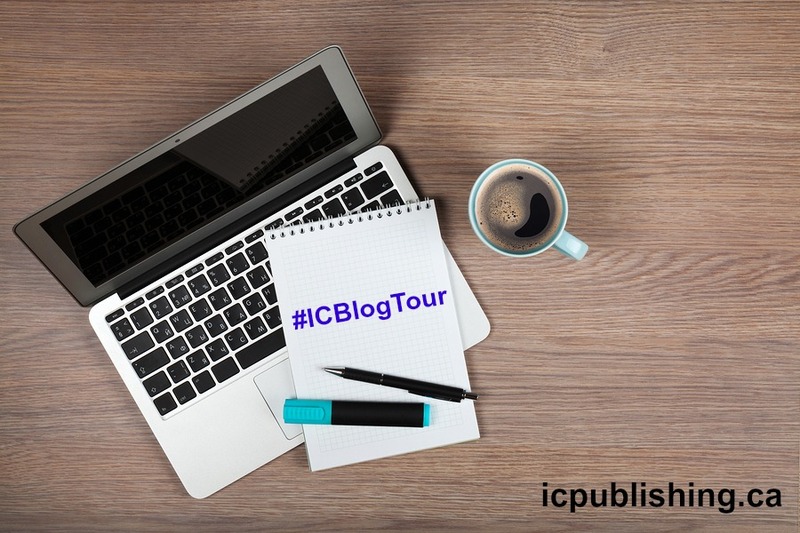 Last but not least, be sure to tag us and use the hashtag #ICBlogTour, so we can keep in touch and share too. We’re on Facebook, Twitter, LinkedIn, and Google+ (all links are on the homepage). I am always delighted to be part of a blog tour with I C Publishing. I blogged at http://www.nlpcanadatraining.blogspot.ca/2014/06/navigating-writing-path-start-to-finish.html and led the way for my friends, Andrew Freund and Karen Allen. Here is my contribution to the I C Publishing Summer Blog Tour! A big thank-you to Adele Spraggon for inviting me to be a part of it! Here is the link to my blog. It is an honour to be part of this blog tour! Thanks to Karen Allen for inviting me, and for recommending The Hole In The Fence to a wider audience. I tip my hat to all of you who have shared your experiences and advice! Here is my blogpost for the tour. I don’t know how on earth I ended up in this company, but here I am. Somehow this tour veered off the road from all the published people to a newbie who hasn’t got a clue what she’s doing. Anyway, nice to be here. And here is my post. My entry hope it is of interest. Got to get writing now! Still going strong, and worldwide! 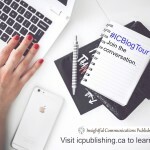 We continue to be humbled and inspired by the honest and thoughtful contributions to the #ICBlogTour from novice and seasoned writers/authors alike. Bravo to all! Remember, if you know of anyone who still would like to participate in the I C Publishing Summer Blog Tour, please feel free to send them the info. You can pass the pen via social media, they can link to you and us in their blog, and then post the direct link to their “Navigating the Writing Path: From Start to Finish” post here when it’s live so more can continue following along. Thanks again to everyone for helping us keep the conversation going, and sharing such meaningful insights and advice. So pleased to be involved. I’m a novice writer just about to self publish my first book. Here’s my link! Author and friend Sheila Lamb invited me along on your blog tour–great questions!